Apply online which takes around 5-10 minutes or download the application form and mail it to your chosen DeVry University location. Provide academic transcript of records from the secondary school where you graduated. After application is reviewed, you will be contacted by an admission officer for an interview. If accepted, you will be asked to attend an orientation. The requirements needed for each type of applicant may vary especially for the Military students. Some of their subjects or finished units from military school may be carried or considered depending on the course that they want to enroll in. For the applicants who are entering college, DeVry University admission age requirement is that the student must be 17 years old during that the first day of classes. When it comes to International applicants, they must maintain a status of non-immigrant for as long as they are enrolled in DeVry University. Documents that shows financial statement or support must also be provided as part of the application process. For applicants whose native language is not English, they must meet at least get a score of 500 in the written Test of English as a Foreign Language (TOEFL) or at least 173 on the computer-based TOEFL, or at least 61 on the Internet-based TOEFL. They must also complete an ESL course that is approved by the university and must have completed 4 years of secondary education where English is the primary language used. 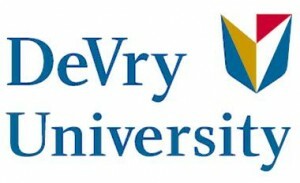 More details on DeVry University admission process is stated on their website. So if you fall into one of these categories then you should check out the university’s website to list down all necessary requirements for admission.